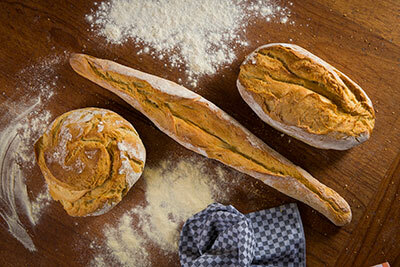 Handmade bread made from white and yellow durum Chalkidiki flour with sourdough. With a distinctive appearence. Available in three shapes: two kind of loaf and baguette.